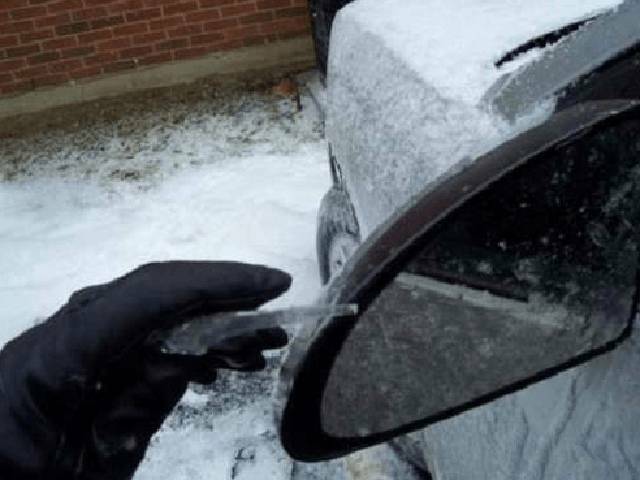 Put plastic bags over your side mirrors This will keep those tiny mirrors from freezing over. 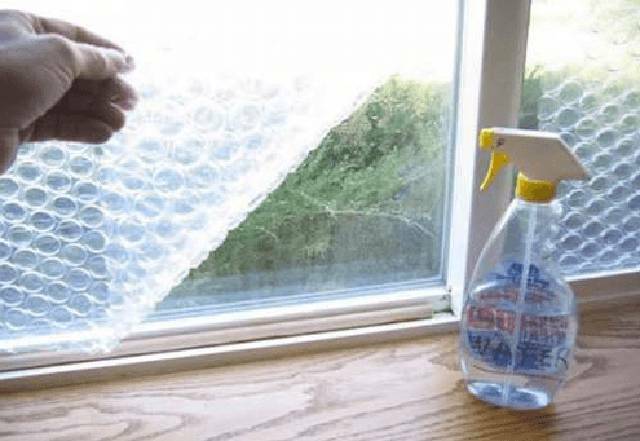 Make a handy de-icer Use this solution to get rid of ice on your windshield real quick. 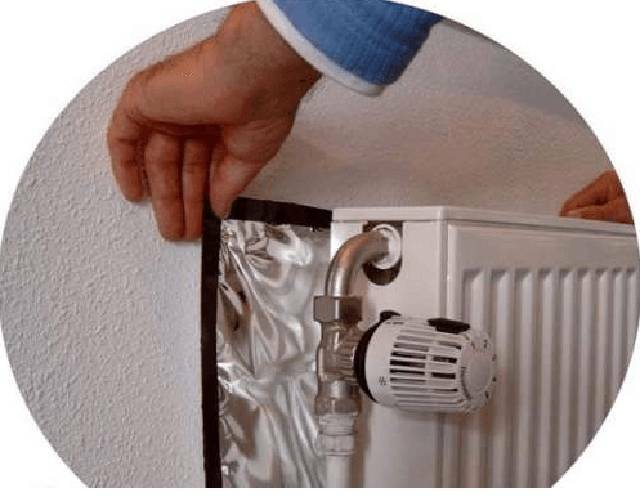 You’ll be in your car and toasty warm in no time at all! 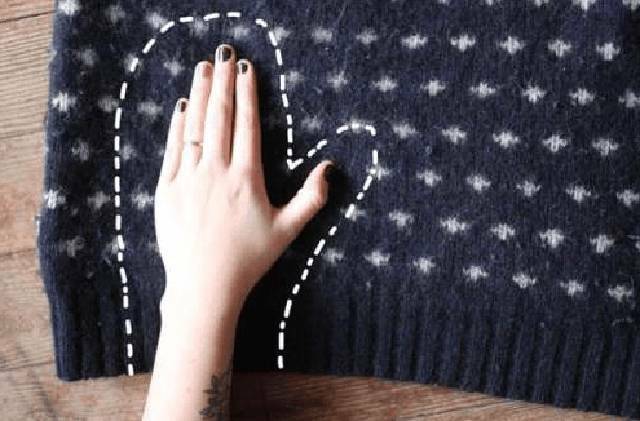 Make your own mittens Use old sweaters to cut a mitten-shape out and sew it together for custom mittens that look and feel nice. 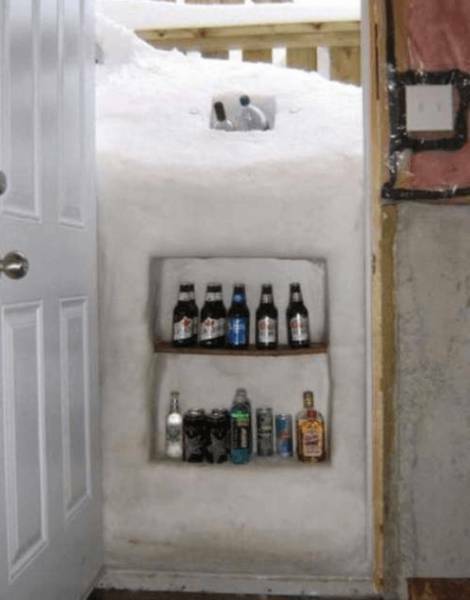 Create your own beverage cooler If you find yourself snowed in, just use the cold to your own advantage by creating a snow fridge for all your cold beverages. Anytime someone asks for a drink, just tell them to open the basement door and get their own. 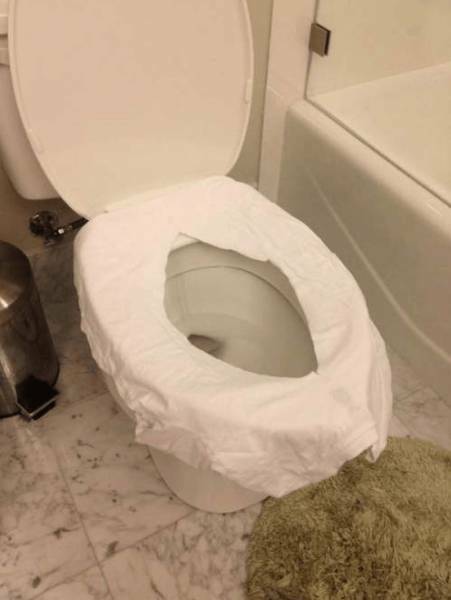 Create a boot drying station No mom wants wet boots leaking all over her carpet or her freshly mopped floor. 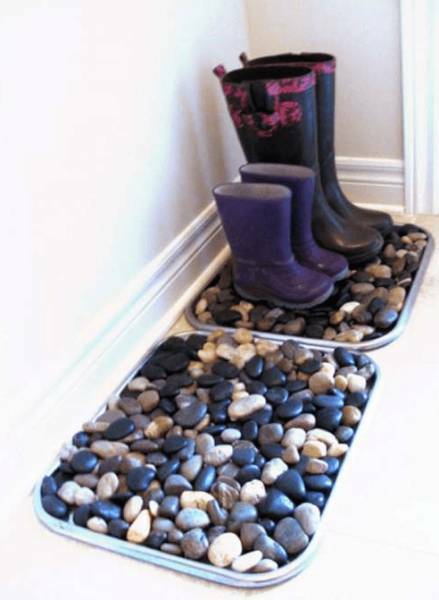 Using a cookie pan and river rocks, you can have a spot just for wet boots by the door. 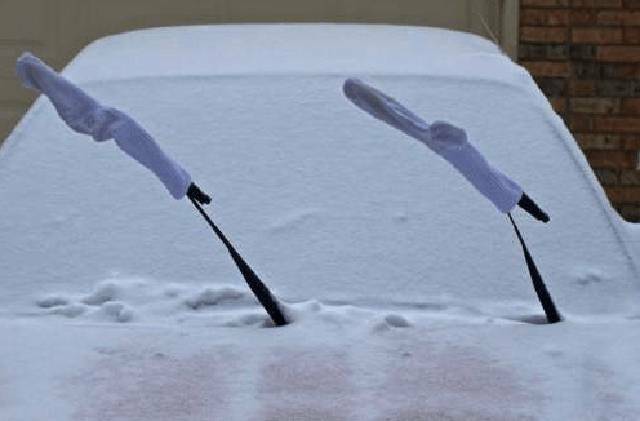 Sock on the windshield Keep your windshield wipers from getting frozen by covering them with socks. 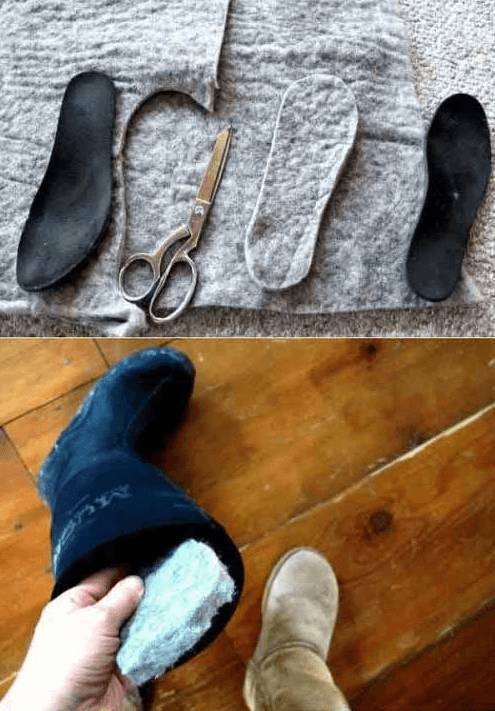 Get yourself some warmer insoles Wool is warmer than your normal insoles and will keep your toes warm all season long. 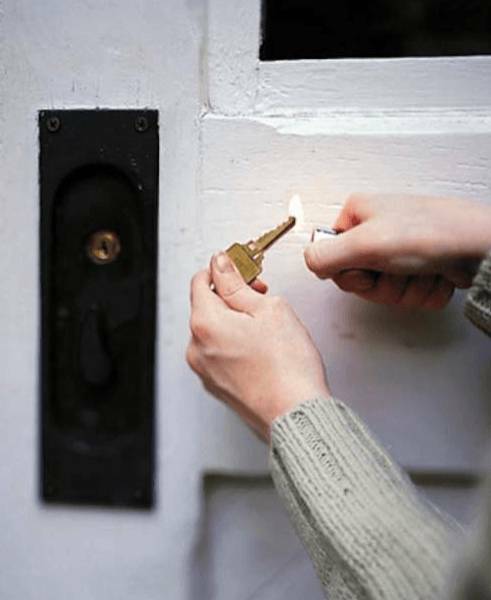 Thaw your frozen lock Use a lighter to warm up your lock and key to make them fit again. 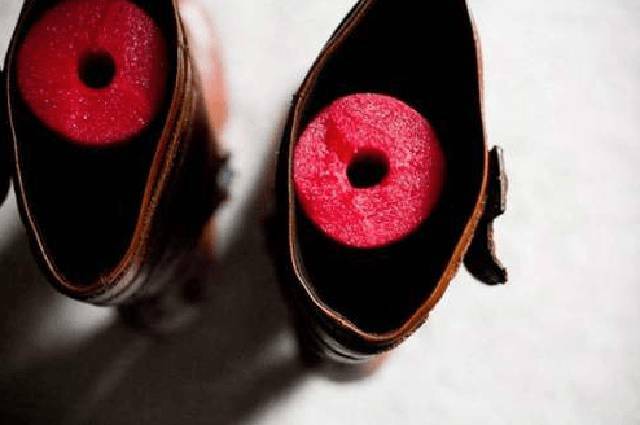 Keep those boots upright Use a pool noodle or an old beer bottle to keep boots up straight. Nobody likes getting bumps and lumps in their leather boots. 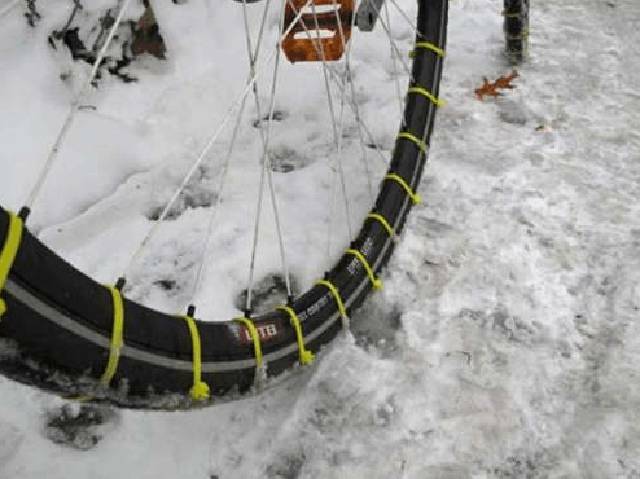 Make your own snow tires Zip ties make snow tires in a quick minute. 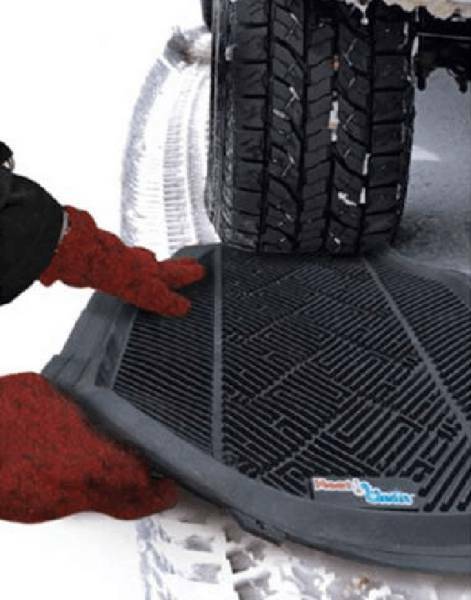 This way, you can keep riding your bike in the snow to work or school, even when the roads and sidewalks are icy and slushy. 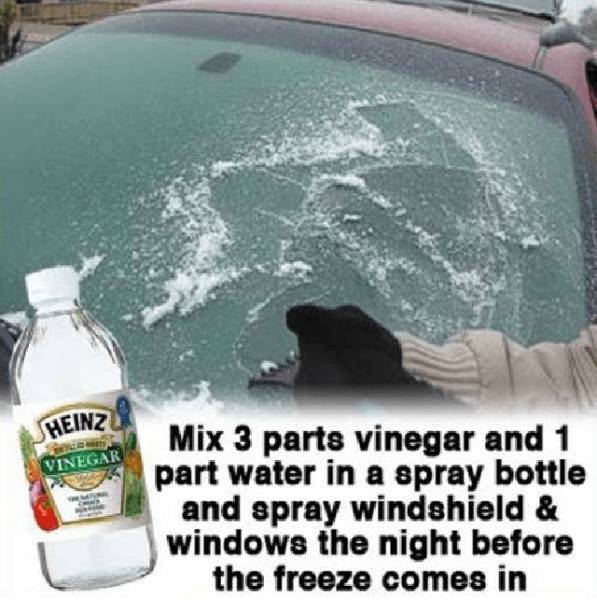 Get your own ice-defying agent Did you know that hand sanitizer has the ability to help you obliterate ice from your car? 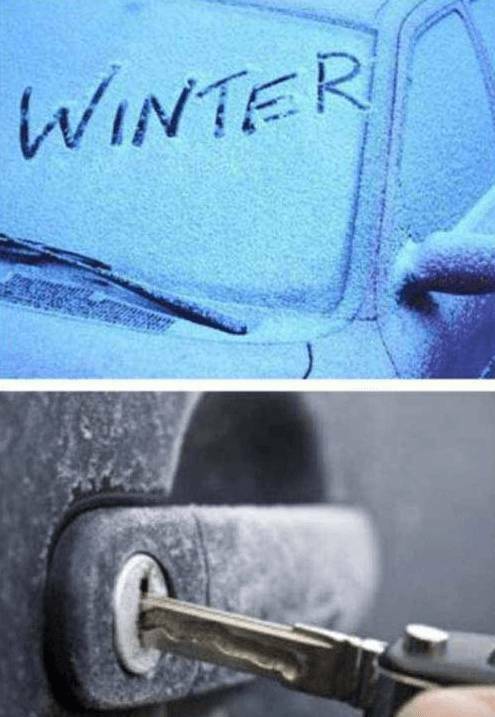 It keeps things, like car locks, from getting too iced over.